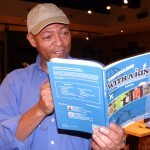 Lavelle Smith Jr enjoying the first ever MJ travel guide. This first ever travel guide is totally dedicated to Michael Jackson. This fully coloured and glossy papered book contains places linked to the King of Pop. From studios to houses, venues and statues, you’ll find everything you need to know. 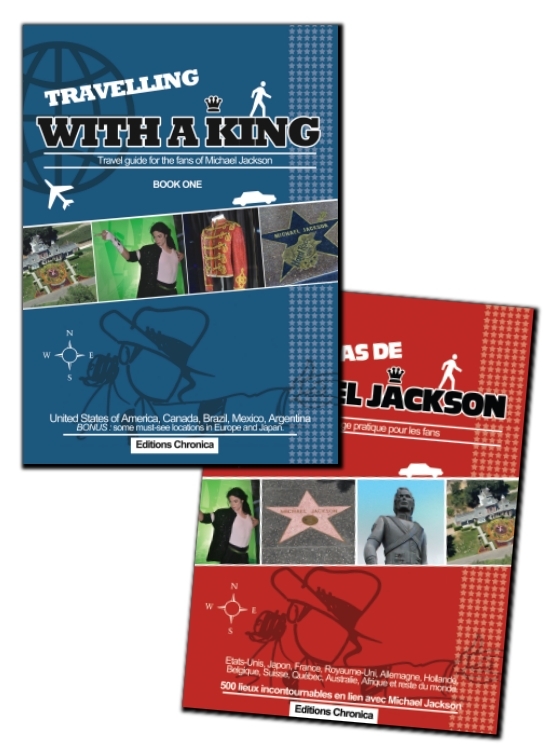 “Travelling With A King – Book 1”, includes : – The United States of America : (New York, Los Angeles, Santa Ynez, Las Vegas & more) – South & Central America (Brazil, Argentina, Mexico, Dominican Republic, The Bahamas) – BONUS: selected places of Europe & Asia The book contains 120 pages Réf. : ISBN 978-2-9601429-2-1 Do not miss your chance to moonwalk down the world with Michael Jackson ! Wanna get the latest news on the book ? sign in to get our newsletter. Merci Antoine pour ce guide, étant fan de Michael Jackson, je me fais un immense en le commandant aujourd’hui!!!!! En tout cas ingénieuse idée merci! Hi 🙂 Thank u so much for this book its a great idea !!! Good job i appreciate it <3 Its all for L.o.v.e <3<3<3 God bless u . When are you planning to get out a english version of this book? Will be sonice to get one of this before traveling to Italy…. Or your new online version released in English? We’re working on something right now. It will be a first part of the book, in English. It will contain the first part of the locations included into our french book. Mainly US, South America, Canada and a selection of places around the world. We hope to open the preorder very soon, in april 2015 or at least begin may 2015 ! I just ordered the English edition. I hope you do put out a second book with the rest of the world. Thanks for doing this. That’s the plan. We hope that the fans will make the BOOK1 a asucces so we can make the second one ! Hi! I had already listened about this but I never found the moment to check til now. I saw with surprise you mentions Argentina, my country. Wow!!! I’d love to buy them but I can’t sadly! Thanks equally to do them! Hi I’m from Poland. I don’t see any information about delivery. Are you shipping this book to Poland ? What about payment ? Can I pay via PayPal ? I am sorry. may i ask how long will it take to delivery the book to Hong Kong? THANKS!!! About 10 open days after it’s release on june 15th…. Is the englisch Version already released ?When will it be released ? IS IT AVAILABLE ON ANY OTHER ONLINE STORE COZ I DON’T USE CREDIT/DEBIT CARDS, PAYPAL. I just ordered the English version. I can’t wait to get it! Thanks so much! Hi, I already ordered the book and paid with PayPal. Is there a way to track shipping? How long will it take to Hungary? Thank you. Hi, I bougth my guide exactly 15 days ago. Could you tell me when I’m receiving my book in Spain? Thank you very much for your time. Good job! What a handsomely produced book. I believe that what you do is indeed a work of LOVE. I can hardly wait to read the Book Two.